Who is Talent Dynamics for Young People for? Parents who want to ensure their child chooses the right options and career path. Parents who want to ensure their child is confident and has good self-esteem. Young people (9 to 19) who are looking for vision and direction – students looking to build confidence and a pathway to success, graduating students transitioning into university, college or the workplace. Schools who are looking for ways to offer an extra-curricular program to assist young people to gain confidence in who they really are. 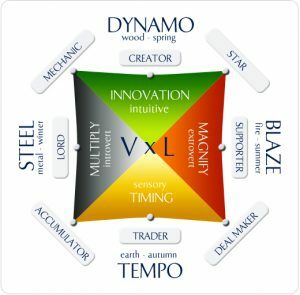 Who is Talent Dynamics for? Individuals who want to identify their natural talent so they can be more productive and successful. Individuals who want to know their strengths and challenges, success possibilities, how to work best in teams and in their workplace. Teams who want to find out the profiles of each team member so they can work collaboratively for the growth and development of their organisation. How does the profile test work? The profile test looks at what you are good at (your natural talent) and suggests ways that you can work to improve and increase the amount of flow in your life, school and work. The profile assesses you, allowing you to focus on your strengths and what you can do in areas you aren’t naturally drawn to. It will help when working with others in groups because you will know where to use your talents to greatest effect and understand others better. What gets you into your flow and how you work best. Knowing what challenges you can face and how to embrace these as opportunities. Identifies the best jobs and roles for you to add value to work, school and home. Which famous role models you should study and learn from. Learn from their success stories. If you would prefer to pay by EFT, please contact Karen via our contact form.